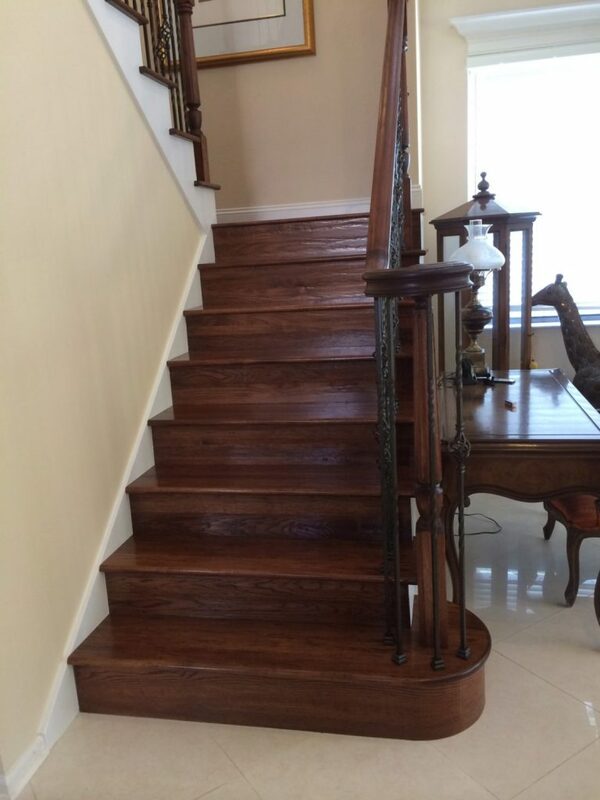 If you enjoy traditional styles with a hint of modern flair, wood treads and risers may be for you. 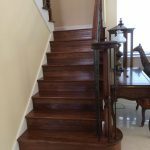 Wood stair treads and risers give your home additional sophistication while still blending well with their surroundings. 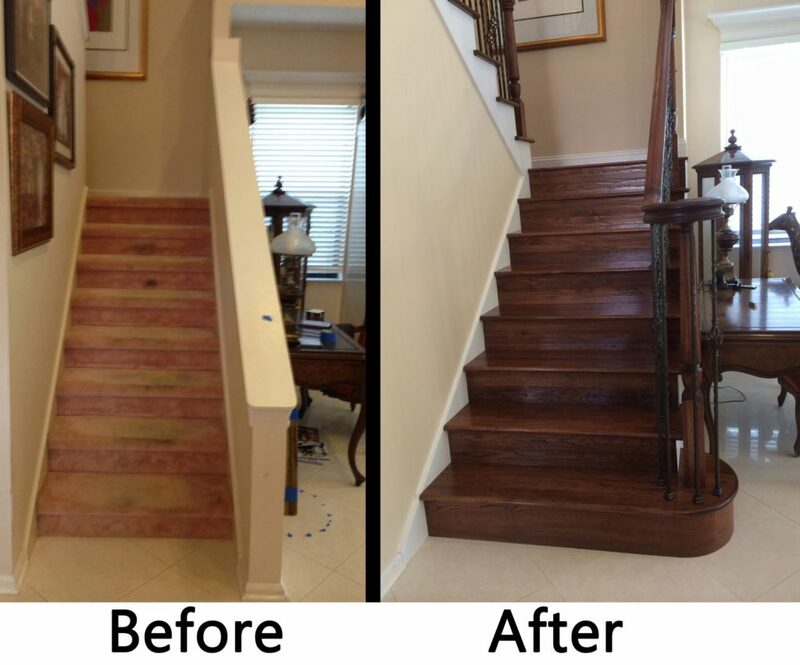 In this scenario, the customer selected a dark stain that makes the staircase a focal point against the off-white walls. 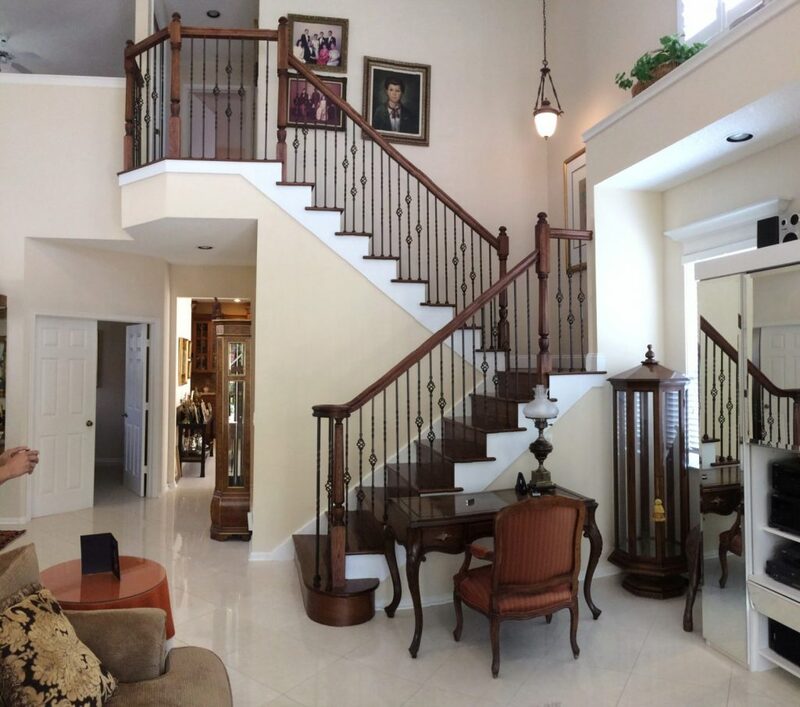 Furthermore, the satin black wrought iron balusters provide some interest in style and color. 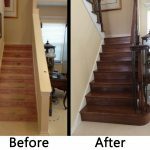 We have an array of wood stair parts, species, and stains, and we can’t wait to see how our products could add to the beauty of your home.